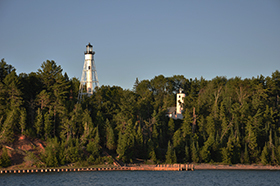 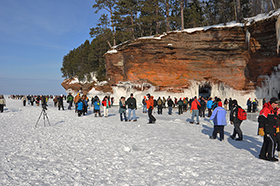 Your hometown national park preserves and protects 21 of the scenic Apostle Islands, 12 miles of mainland shoreline north of Bayfield, and 7 historic light stations, including the Ashland Harbor Breakwater Light, visible from Ashland’s waterfront. 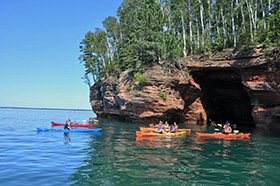 Experience wilderness, while enjoying sailing, sea kayaking, boating, camping, hiking, sightseeing cruises, and the famous sea/ice caves. 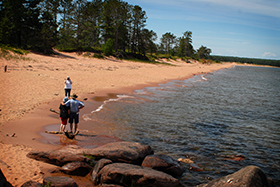 Plan your visit at the Northern Great Lakes Visitor Center 2 miles west of Ashland, or the main park visitor center in Bayfield.